I've seen this answer, but on my Italian keyboard I've got < between Z and Left Shift instead of the ~. So, how can I type it? You can show the keyboard viewer from the input menu if it's enabled. Alt Ñ on Spanish keyboard. Hope this works. 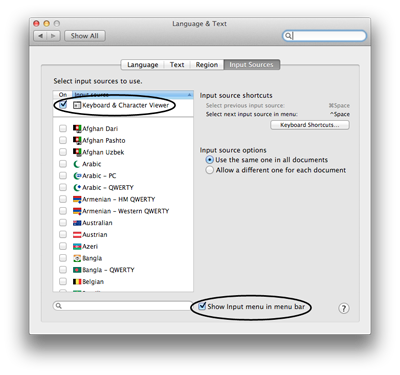 I struggled a lot about writing accents and special characters in macOS with an Italian keyboard. The most comfortable way to do them is to hold option + press a key. Specifically, for tilde, as mention above is Option + 5 (try other keys also, you'll be used to it in a while). In System Preferences/Keyboard/Input Soruces, press alt and it will show what each key does. It is left Alt + ^ which will give you tilda sign over Swedish Mac keyboard. How do I type the typeset “space” character? How can I type unicode characters without using the mouse? How do I send an iMessage on an iPad using an Apple Bluetooth Keyboard only? How can I type a backtick using a German keyboard? How can I type ` character when using Chinese input source?